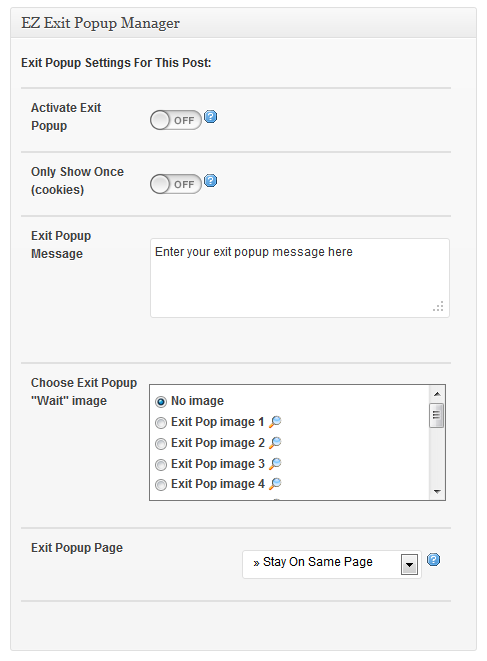 Easy Exit Popup Manager is a powerful plugin that allows website owners to easily create and manage exit popups on their WordPress powered website or blog. 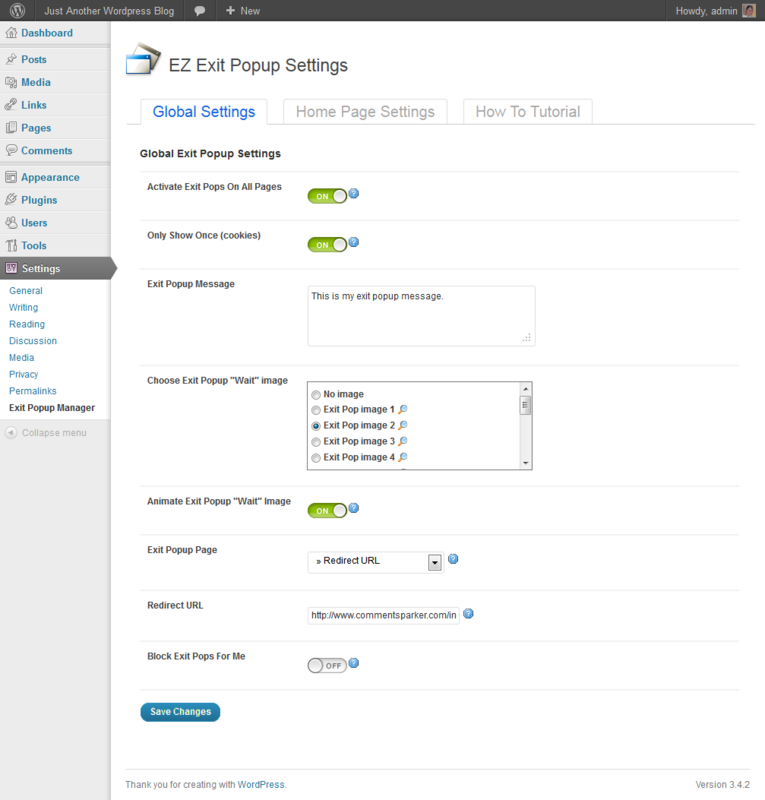 This plugin will allow you to create separate exit popups on specific posts or pages, or your entire website with the use of global settings. 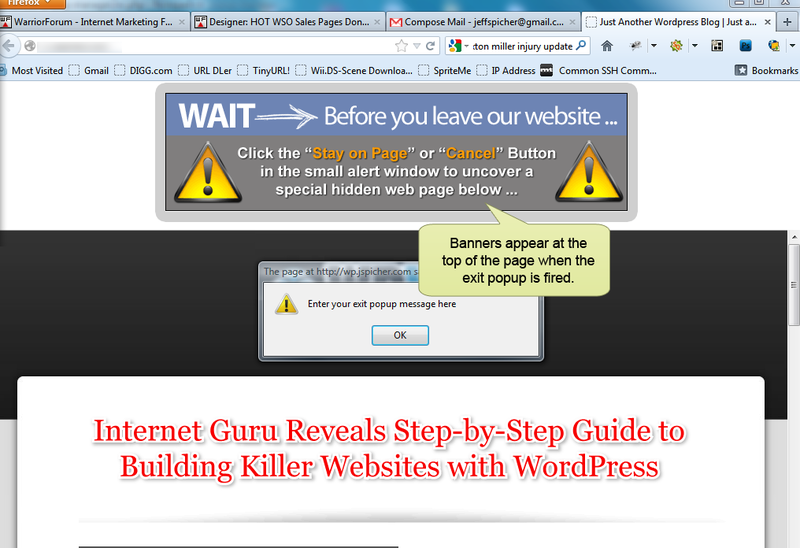 Research has shown time and time again that these powerful exit popups can increase conversions, opt-in rates and page goals by an average of 20% . 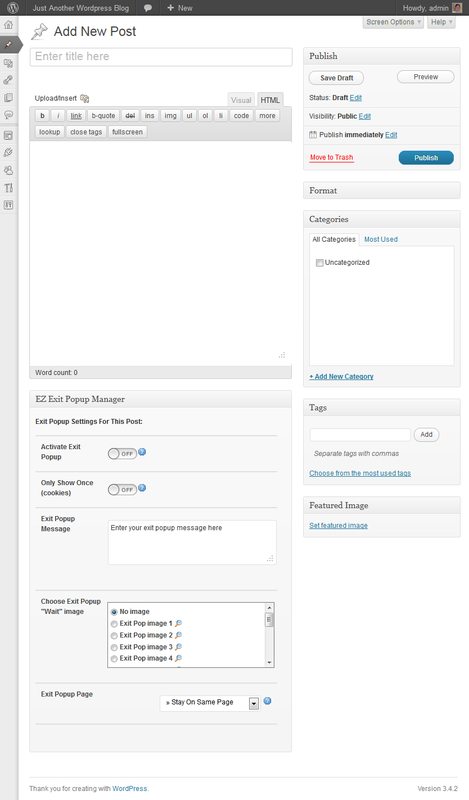 Unlike other software, EZ Exit Popup manager will work on all major browsers and computers, displaying your targeted attention grabbing messages to your website visitors before they leave your site. note Demo installation is reset every 60 minutes.